Good morning one and all! 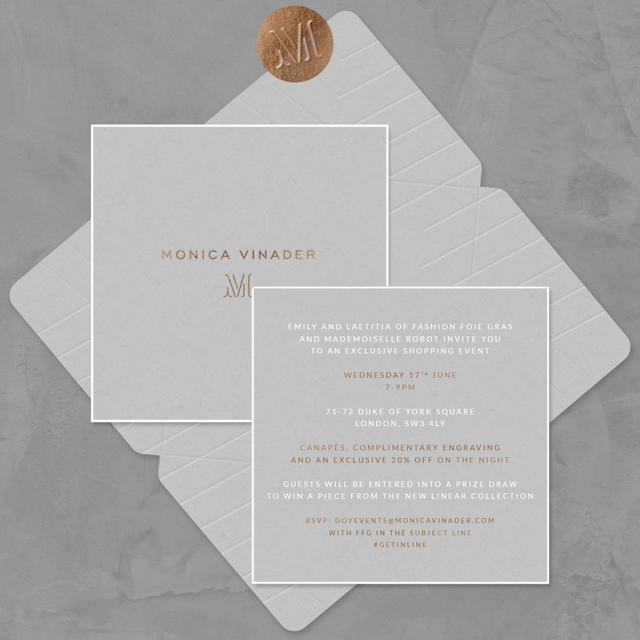 So I'm very excited to announce that next week I'm cohosting an exclusive event at Monica Vinader in Chelsea. The lovely ladies over at Monica Vinader have given me a select number of RSVPs for readers to attend and I would absolutely love to see you guys there! It's a night all about jewellery, lovely food, drinks and a great discount. Please do come down and say hello. 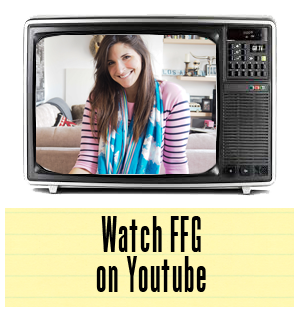 While technically this is a shopping event, I'll also be on hand to talk to you guys about everything under the sun when it comes to blogging, style and anything else you want to throw my way. For those of you that have come to my events before, you know I'm a talker! So come along, and enjoy a night of bling and besties (yes, I'm cohosting with the bestie). Now, the important bit. If you want to get in the front door you must RSVP! 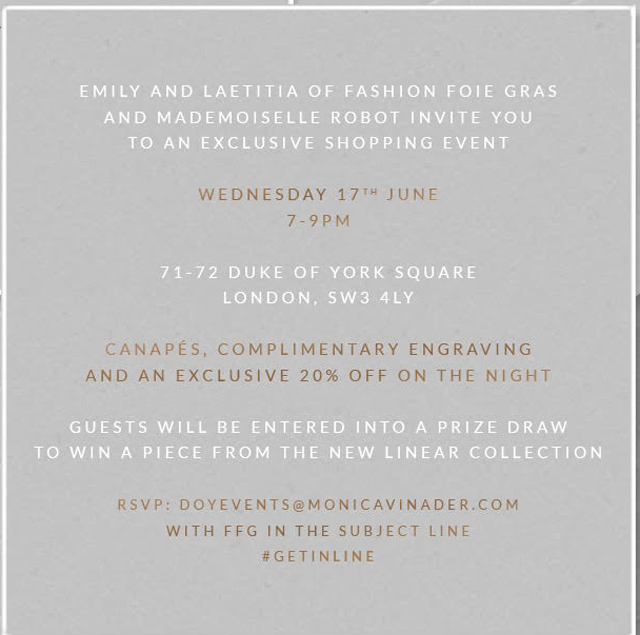 Send an email to DOYEVENTS@MONICAVINADER.com with FFG in the subject line to confirm your place. This is on a first come, first serve basis! Can't wait to see you on the big night. Who's ready for some serious arm candy celebration?